We launched @MyBlogU last week, please join to create epic content and get featured! 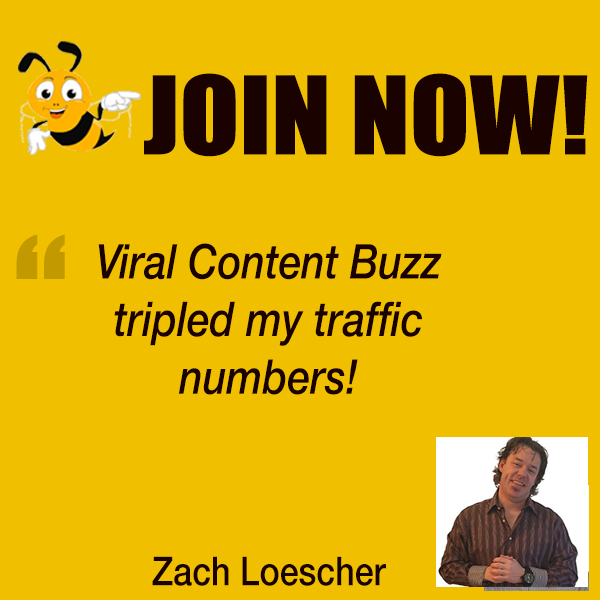 If you review our VCB Udemy course, we’ll give you 100 free ViralContentBuzz credits to promote your content! 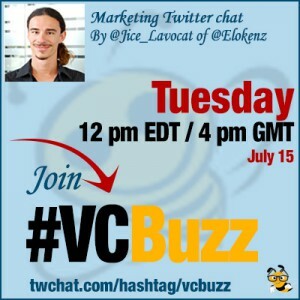 @Jice_Lavocat is the founder of Elokenz, a tool for content marketers, growth hackers and inbound marketers that is based on Google Authorship tag. If you want to see what this tool can do, check out seosmarty.com sidebar (“My Articles around the Web” widget). The widget is powered by @Elokenz: All I needed to do was to sign in with my Google Plus auth. Q1 How did you get into content marketing? But during all this time I worked as a Freelancer for #SEO, #contentmarketing and #PR campaigns for @graphemeride agency. I worked for big international high-tech companies like @graphenea for instance and small businesses. Working for multicultural and multilingual companies is challenging for a #contentmarketer so s/he needs efficient tool and rigor. The place of a #contentmarketer is central for many businesses on the web. The #contentmarketer works in many fields : #SEO, #SMO, #Curation, #CustomerDevelopment. The job is really strategic. I am happy to see that nowadays people consider that content marketing is much more than just “writing blog posts”. Even people tend to talk about #ContentMarketing more than #InboundMarketing (quote @randfish). I really like that! This job is not boring and you always learn from people in your field or related industries. Recently the G+ Authorship created some kind of confirmation that a good content AND author was required to rank. What about you people following the chat. How do you like #contentmarketing ? Q2 Is Google Plus and/or Google Authorship popular in Europe? Do people use Google Plus a lot? First, let me tell you how much I like the #Authorship concept. It’s like having your own DNS that will follow you across posts. It’s like a cross-domain ID for creators and writers and will follow you all the time. With the #Authorship, Google is creating a bridge between the link graph and the social graphю So, the #authorship is a universal concept and should be used by every writer. The fact it is Google-thing is an issue though. The penetration of G+ in Europe has been slower than in the US. But nowadays, the adoption is rising. We are still behind: US = 26% active users VS European coutries ~10% active users (see here via @CircleCount) . The SEO industry is pushing businesses to join and create G+ pages. So more and more people adopt G+. The authorship adoption is a strange thing. I conducted a study some months ago, and results are counter intuitive. More authorship snippets were appearing for results in French than for the equivalent in English! Now that the photo is gone, I have the feeling that Google is offering the Authorship byline more frequently. I will run the study again to create a map of #authorship adoption worldwide and try to post the results somewhere. Another thing : now that the photo is gone, it is finally time to worry about the #authorRank issue. Publish a lot, get cited, nurture your relationships and cultivate your #authority to grow your influence in your topic. If more #authors write on the same topic as you, you’d better be an influential author. Q3 How does @Elokenz_com work? How did you come up with the idea? Was anyone helping you with developing / marketing it? @elokenz_com tries to help writers to be more visible, to be found ! That’s our mantra and all our moves will push us this way. For now, we use the #Authorship tag on your pages to associate a content to an author, just as Google does. Based on that, you only have to register and we will collect your posts automatically (with some errors of course :-D) . We have tons of features ahead, but at the moment we mainly offer notifications of your citations. If someone mentioned one of your articles, we will add it to your database and send you an alert. By using @elokenz_com you will always know when a reader shares your post… and then it’s up to you to start the discussion. @elokenz_com also provides the list of people who shared a text from you once at any point of time. Q4 What are your plans with @Elokenz_com? Where is it heading? We will offer more and more features for authors, like : “readers suggestions” or a feed with all your articles (across domains). We also think about SEO-related tools to know which authors are citing you. We’ll also provide a “related authors” list. I can’t really enter into details at the moment 😉 Most of our apps will have a widget so that you can integrate them on your blogs to interconnect your different articles. Q5 How can Google Plus help content marketers? How to discover connections there and get interacted back? The first and unique answer I should give is “use #GooglePlusCommunities, participate, create connections and add value”. The G+ communities are a unique place to promote your content. But you need to be smart. Don’t spam! You can always answer someone by pasting a link or create an interesting post where your link is not the central item. If you post on a G+ community just to share your link, you have already lost the game ! Instead, help people, add value! Participate in communities, not only when you need to promote content. Answer questions, ask questions. Participate in communities, not only when you need to promote content. Answer questions, ask questions. You can also put the moderators of these communities in a dedicated circle and interact frequently with them. If you become an active user, you will often be cited or asked for help. You will gain targeted followers. In turn, you can try to find active users from targeted communities and connect with them. You will create a circle of trust. Once people are trusting you, you can ask them to promote your article on their G+ account. Start small and grow at your rhythm. Gaining trust is not a quick process ! But once you have it it’s very powerful. The more “added value” content you will post on G+, the more interactions you will have. You can also use @CircleCount to find relevant people and interact with them on G+. To discover people who share your articles on Google+ use @elokenz_com and interact with them. Create special circles and “activate” them when you think it’s possible. Q6 What’s your most effective way to get a word out on Google Plus? Say, you want to get more interactions, what do you do? Well, here is what I did regarding this #twitterchat: I created a special post on @elokenz_com blog and posted a unique G+ post on my feed. Then I asked few contacts to +1 the post. I also asked better friends to reshare my post on their own feed. So, with +1 and reshares, a post is likely to be seen by most of my plussers (even the one with less interactions). I also created a G+ event page, with a link to my blogpost (in this case : added value). Again, I asked few friends to pretend they were joining the event on G+, so that it gained some external trust. Finally, I looked into relevant communities and posted a different announcement each time. Sharing the blog post in some cases or the event page in the other cases. Again, start slowly, and +1/comment/reshare posts of people you want to gain friendship. From time to time you can send them private messages through G+. Say hi, ask details about their jobs or location. Whenever you get an answer to such ‘semi personal’ questions, it means you have a strong connection. Use it! Now you can offer help and ask your contact for help too. If people trust you, they will help!